One of my favorite films is Roberto Benigni’s 1997 tragicomedy, La Vita è Bella (Life is Beautiful). 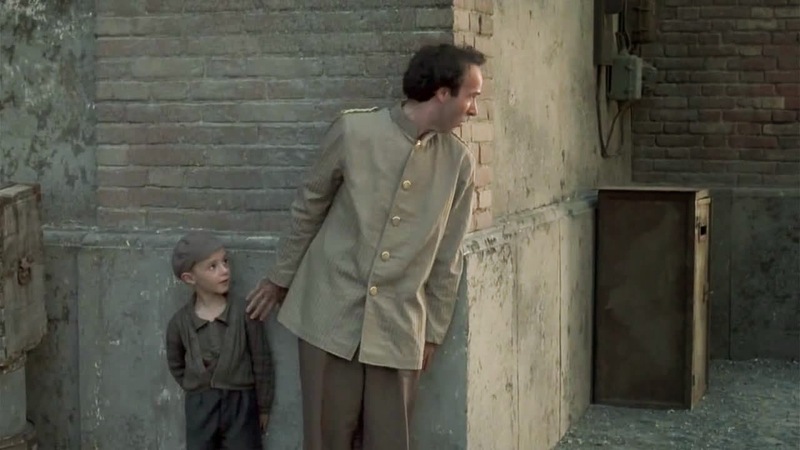 It tells the story of a Jewish father, Guido, who invents creative ways to keep his son out of danger while they endure life in a concentration camp. There is a scene in that film that continues to haunt me. Guido is a waiter serving German officials and their wives as they gather for an evening of fine dining. While the Nazis are eating and drinking in luxury, the horror of the concentration camp lies just beyond the walls. But then, one of the German officials who knew Guido before the start of the war calls him over for a private conversation. Guido has every reason to think that this officer wants to help him and his family survive. Instead, the German officer picks up where they left off years before. You see, Guido was good at solving riddles, and this officer needs help in solving a particularly perplexing one. The conversation is long. It goes on for several torturous minutes. As it dawns on him that the officer has given no thought to assisting him, Guido remains silent – his face filling with pain and disbelief. And in a moment of tragic and terrifying irony, Guido – a Jew who is seen as less than human by the Nazis – is the picture of humanity that stands over against the cold indifference of the Nazi officer. I’ve thought of that scene a few times as I’ve read some of the online defenses of Planned Parenthood. Yes, I know there are pro-choice activists who, in light of these videos, are rethinking their position on abortion. Yes, I know there are politicians on both sides of the aisle who find the videos disturbing. Yes, I trust there are people who have shifted in their views due to the videos. But the shrug is what scares me. It frightens me to think that we live in a society that can watch this kind of violence against the defenseless, say “Oh well!,” and then click to the next news story. Many in the pro-life movement think the problem in our culture is one of ignorance. If just enough Americans knew what was really going on in these abortion clinics… If only they saw the freezers full of baby parts… If they could see how we chop up the unborn and sell off their parts… they would be outraged and would demand we stop the carnage! So, we have blamed the media for not covering these stories sufficiently or for reporting them with blatant bias. That blame is justifiable. Media bias remains one of the strongest obstacles to the pro-life cause. I hope that assumption proves right. But it scares me to death that we may be wrong. It frightens me to think we live in a society that knows full well what we are doing and simply doesn’t care. The shrug is the sign we have become a shell of humanity – a soulless society where the baby hearts we sell are bigger than our hearts that are still beating. We live in a world in which people can look square into the faces of tiny human beings and talk about how much money their organs will bring in. “Shallow are the souls that have forgotten how to shudder,” says Leon Kass. The absence of societal shuddering in response to the Planned Parenthood videos frightens me more than the videos themselves. Metaxas is right. That’s why we must pray – that God will open eyes to see the gift of human life and the tragedy of our killing clinics. After all, had God not opened our own eyes, we would be shrugging too.